Security has always been a major cause for concern when surfing the web. For a long time, the internet was thought of as a digital wild west: every person had to look out for themselves and there were very few options that guaranteed secure access. But with SSL, this is no longer as much of a concern. SSL ensures that your web traffic, both incoming and outgoing, is kept safe from any of the various security threats. And it does not have to cost an arm and a leg for you. At Hostinger, we understand that security is very important for our clients. Thus we introduced bullet-proof SSL certificates for cheap. Our certificates provided for a lifetime. Which means you will not have to worry about your website security anymore once you get one. If you are still not convinced to install SSL and reap a wide range of benefits, keep reading this tutorial in which we will list discuss SSL benefits. Secure Sockets Layer, or SSL, is a security protocol that uses modern encryption to send and receive sensitive information all over the internet. It works by creating a secure channel between a user’s browser, and the website’s server to which the user wants to connect to. Any information that passes through this channel is encrypted at one end and decrypted upon receipt on the other end. Thus, even if someone gets a hold of this information, it is practically of no use to them due to the encryption of the information. Websites can enable SSL by acquiring an SSL certificate. Web browsers can detect this certificate, which lets them know that this particular connection needs to be encrypted. Users can easily recognize whether they are visiting an SSL-enabled site by spotting a tiny lock preceding the website URL. Websites using SSL are also identifiable via their use of the https protocol, instead of http. This article is intended to give a clear idea of the upsides of using SSL. After finishing it, you will come out more informed about how SSL could not only secure critical data, but also give businesses a competitive boost along the way. As stated earlier, using SSL can be greatly beneficial for both the end user and website owner. Users have become more aware of the importance of internet security over the past few years, which means SSL could prove to be highly advantageous for any modern website. Let’s start by playing a little game. Can you name any popular website that does not flaunt the tiny lock icon next to its web address? If your mind is coming up short on answers, don’t sweat – there’s a very good reason for this. Businesses recognize the rising trend of user awareness when it comes to digital privacy. So naturally, they want their customers to know that they are being protected. SSL is a solid way to endorse just how safe your platform is, adding a touch of professionalism to any site using it. This is especially true for e-commerce websites whose business model is based on utilizing highly sensitive information, such as credit card details. PCI (Payment Card Industry) standards require that online payments through SSL have, at the very least, 128-bit encryption. This makes online transactions as safe as possible – a great advertisement for your business’ brand. Some companies spend a ton of resources on SEO (Search Engine Optimization) without realizing that simply enabling SSL can give their site a ranking boost on Google Search. It has been more than two years now that Google incorporated SSL as a ranking factor in its famous PageRank algorithm. So, all other things being equal, a website having SSL will be ranked higher than the one not having it on Google Search. 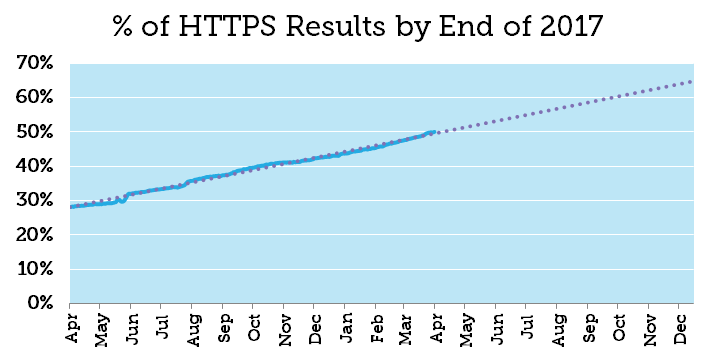 According to MOZ, half of Google results are HTTPS and this number will continue to increase. By its own admission, Google still puts more emphasis on other factors, such as content quality, when ranking sites. But SSL could still be a great way to compliment your existing SEO efforts. 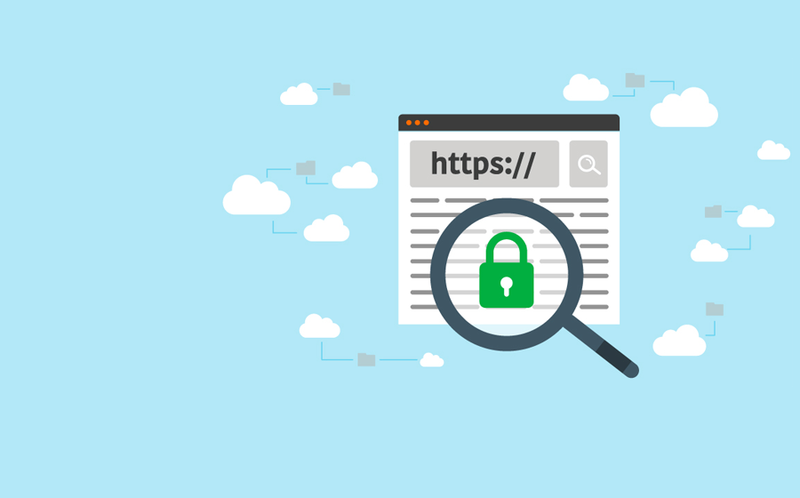 Now that we’ve laid out the case for using SSL in order to give the impression of a trustworthy, secure and professional web application, we hope you’ll look to acquire an SSL certificate as soon as possible for your website. Seemingly a tiny addition, SSL can go a long way in improving user satisfaction, SEO and brand image. Luckily for you, Hostinger is set to provide free SSL for our business users. Hostinger is also committed to making SSL installation a walk in the park, so stick around for more regarding SSL on Hostinger.